The holidays are officially here! 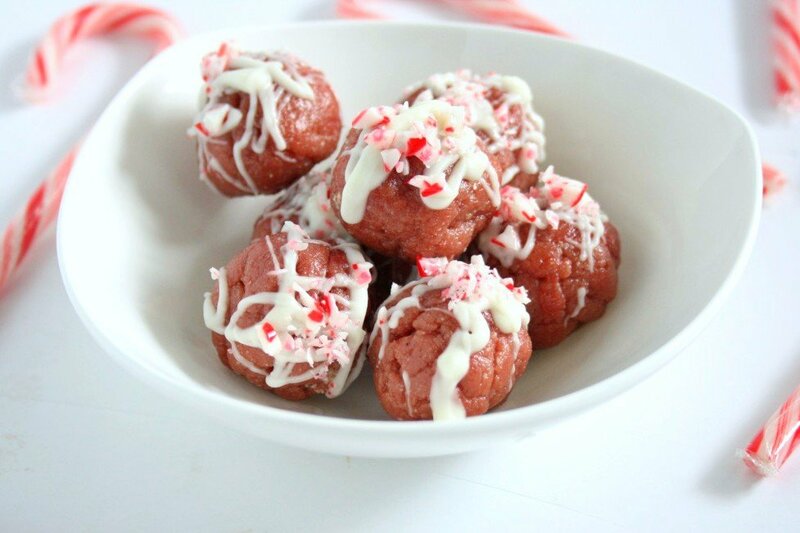 Make these protein packed, no bake white chocolate peppermint truffles for your next cookie exchange or holiday event. This month’s recipe redux challenge is all about naturally-colored/dyed holiday food. So fun! Did you know there are all kinds of foods that can be made into colorful dyes? Think bright vivid produce and powders like beets, red cabbage, turmeric, and matcha. With a quick google search, you’ll be able to naturally color that gingerbread house, Christmas cookies, and even the red velvet cake. 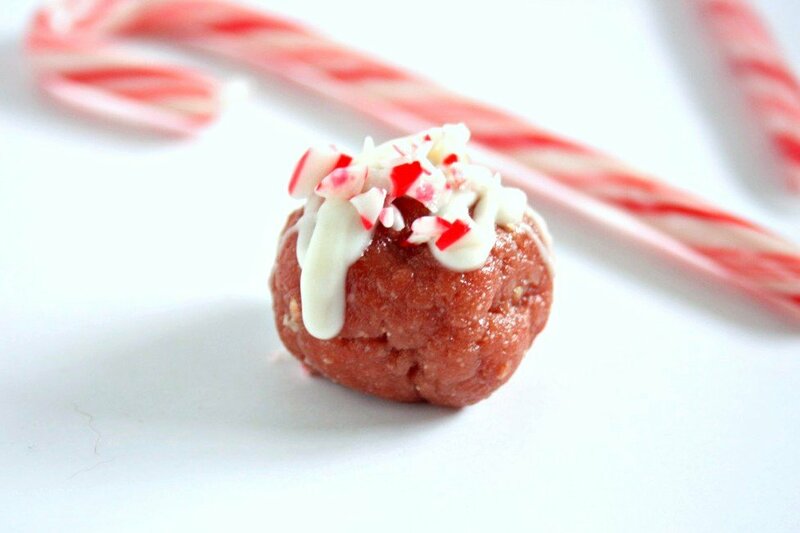 To make my white chocolate peppermint truffles, I used beet juice concentrate. 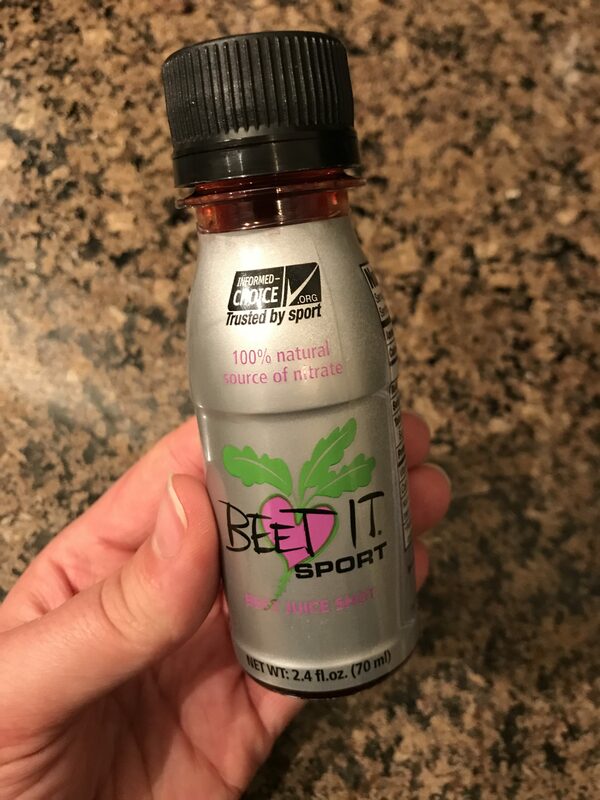 I found this small bottle from Kroger in the health food section, but you can easily make your own. You could also use beet juice, but the beet juice concentrate will give you a deeper red color without changing the flavor. Take three large red beets, stems and root end removed. Slice into bite-sized chunks. Place in a small saucepan and cover beets with water. Bring to a boil over medium heat, reduce heat and simmer until beets are tender and there is only a couple of tablespoons of water remaining. Keep the water, this is your food coloring. Enjoy the beets atop a salad. Not only are these tasty truffles easy to make, they are also packed with protein and healthy fats from the cashews. You can feel good about snacking on one… or three of these fun and festive treats. As a self proclaimed chocoholic, I find it hard to throw away leftover chocolate. Soooo why not make some peppermint bark as “holiday bonus”. 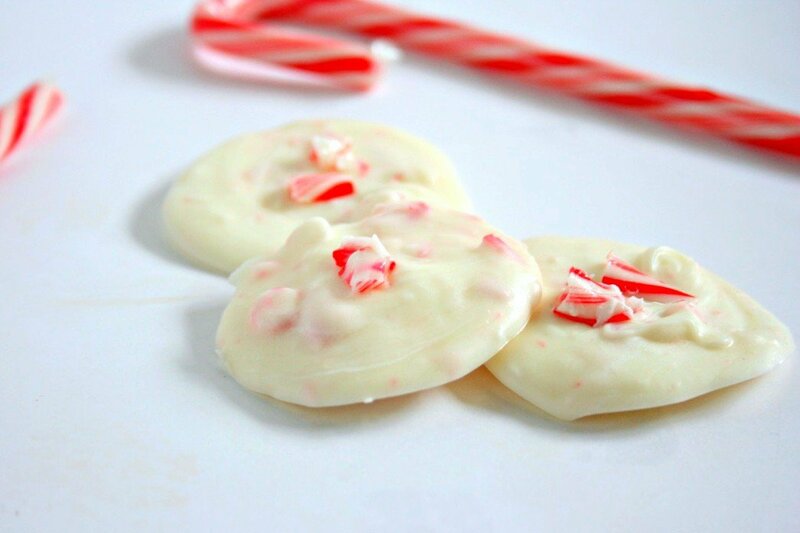 Simply add crushed candy cane to the leftover white chocolate and place on wax paper. Place in the fridge to harden and enjoy. In a food processor or high power blender, grind the cashews to small gritty pieces. Add the honey, peppermint extract, and beet concentrate and blend until a sleek, soft mass is achieved. Cover and let chill in the refrigerator for half an hour. 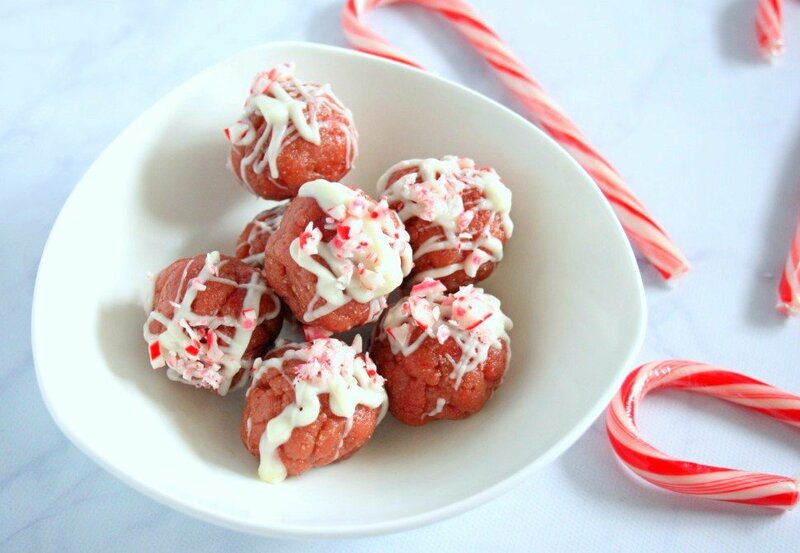 Place balls on wax paper and drizzle with melted white chocolate and sprinkle with crushed candy cane pieces. Place in the fridge to harden the chocolate. *Note: Beet Juice Concentrate Recipe- Take three large red beets, stems and root end removed. Slice into bite-sized chunks. Place in a small saucepan and cover beets with water. Bring to a boil over medium heat, reduce heat and simmer until beets are tender and there is only a couple of tablespoons of water remaining. Keep the water, this is your food coloring. Enjoy the beets atop a salad. This chocolate looks tasty!I will try at home. Thanks for sharing with us! Daisy recently posted…Best Countertop Convection Ovens in 2017- Top Models Reviewed! Your truffles look amazing! Love your way of cutting down on food waste too! Thank you!! I could never waste chocolate lol! Looks yummy! I want to try at home. Thanks! Emily recently posted…Best Countertop Convection Ovens in 2017- Top Models Reviewed!